Two days ago the world observed the fifth international day of the girl child; a day that marks the potential role she can play as a powerful agent of change in any society; a day that reminds every nation to renew its commitment towards upholding the rights of the girl child against any form of discrimination. Egypt’s progressive constitution enshrines these rights as important cornerstones along its path towards modernity and enlightenment. There is a clear consensus among policy makers and national stakeholders on the need to push gender equality up the political ladder and develop a thriving climate for millions of Egyptian girls to unleash their potential. The state is working hard in partnership with different national and international agencies to help our girls overcome boundaries and traditional harmful practices that have long held them captive. Investing in our girls is a critical lever to the wellbeing and prosperity of any nation. They are a powerful driving force for growth and prosperity. The dynamic interplay between promoting their rights and achieving sustainable development scarcely needs pointing out. With this in mind, the state is placing the girls at the heart of its developmental plans. To empower girls and uphold the rights of our children, particular attention must be paid to uplifting the quality of education. Girls’ education is a fundamental right and a catalyst for effective development efforts. It holds the key to a better future and the key to the world we want to live in. As enshrined in our constitution, we need to strengthen our efforts, boost public awareness, galvanize new resources, and create momentum for upholding the rights of our girls. It is in this vein that the government in collaboration with the National Council for Childhood and Motherhood (NCCM) has been implementing the UN Girls’ Education Initiative (UNGEI). The initiative is a robust societal project that embraces all spectrum of the Egyptian society. It is an endeavor that aims at investing in improving the lives and futures of girls and women in the most underprivileged settings. 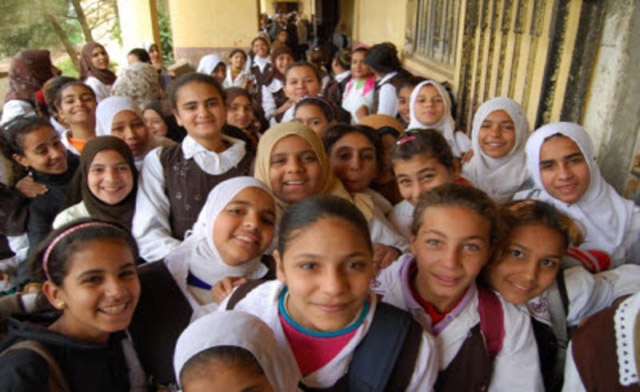 Praised and documented by UNICEF as a replicable example, the Girls’ Education Initiative in Egypt contributed to enhanced family health, as well as improved productivity for the community as a whole. Through establishing “girl friendly schools” and fostering partnerships with many civil society and international stakeholders, the government is implementing an innovative strategy to reduce the gender gap in education. Our model has also highlighted the importance of community participation in empowering girls to attend and remain in school. Furthermore, the effectiveness of “girl friendly” strategies unveiled its ability to instigate decisive actions rectifying harmful practices wrongfully attributed to religion. The lobbying of families, Egyptian groups, civil society organizations, physicians, activists, researchers and women’s advocates against the practice of Female Genital Mutilation (FGM) is an important example. Initially outlawed in the child law in 2008, FGM continued to be a complex and challenging issue facing the physical and psychological health of Egyptian girl. More recently on August 31st, the government responded to the calls by civil society organizations and activists and enacted more stringent penalties against FGM; a step lauded by many in Egypt and the international community. Despite the clear legal framework surrounding FGM, much of the awareness-raising efforts conducted at the community level remain insufficient, unreliable and ill-funded. As we celebrate the international day of the girl, more efforts are needed in this context. We must bring together a wide range of partners and take advantage of their strengths, funding, expertise, and outreach. We must step up successful initiatives, share good practices, and mobilize new actors. Eventually, the real fruit of the efforts exerted for our girls are about empowering the girl to move to the forefront away from a position of marginalization. Yet, our ultimate goal is to create an environment conducive to change. Despite lingering social constraints, there is a growing perception in Egypt of the need to empower the woman of tomorrow, make her voice heard and give her the chance to chart a future filled with promise. This is not an unfounded hypothesis, but a belief backed up with evidence. In fact, there are a rising number of young women entering politics and all other societal and economic spheres of life. The unprecedented women representation in the Egyptian parliament is a perfect display of the profound transformation the Egyptians are going through with regard to their general outlook to women and girls in their country. We don’t mean here to discount the social, economic and political difficulties girls are wrestling with in Egypt. We don’t deny the embedded and persistent culture against them particularly in poor districts. The gender gap is still wide and more must be done to narrow it. However, the country is on the course of a real change and we are moving in the right direction towards creating a level playing field for every Egyptian citizen to shape the future of their nation.